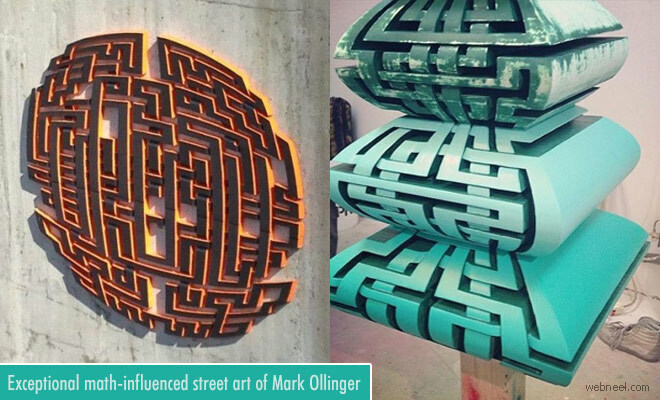 Vancouver-based artist Mark Ollinger has an incredible and unique talent in street art work which gives sculptural response to street painting. Mark Ollinger’s work plays with the ambiguity and malleable nature of language. Olligner's intention was based on temporary site specific works and he realised it as street art. His works are based on mathematical formulas and the genre if has to be classified comes under the blend of optical art and graffiti. According to the artist 'Apath' is his own way of tribute to the human experience as a journey on a path through space and time. Let us explore the street art works of Mark Ollinger.